Ευχάριστη έκπληξη για τους κατόχους Switch. Όπως ανακοίνωσε η Paradox, το εξαιρετικό city builder Cities: Skylines είναι πλέον διαθέσιμο στο Switch, με τιμή ≈40 ευρώ. Το παιχνίδι έχει user interface ειδικά σχεδιασμένο για το Switch, υποστήριξη HD rumble, υποστήριξη Pro Controller και tutorials, ενώ περιλαμβάνει και τα expansions After Dark και Snowfall. Δείτε επίσημα χαρακτηριστικά και trailer και πείτε μας αν σας ενδιαφέρει! • Multi-tiered and challenging simulation: Constructing your city from the ground up is easy to learn, but hard to master. 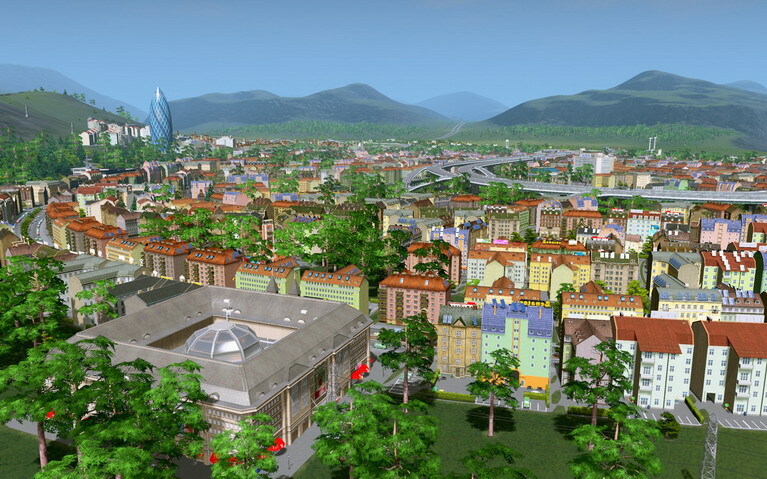 Playing as the mayor, you’ll be faced with balancing essential requirements such as education, water, electricity, police, fire fighting, healthcare and much more, along with your city’s real economy system and a multitude of gameplay scenarios. • Nintendo Switch edition exclusive: Using HD Rumble, a rumble effect helps find the most efficient area to place service buildings in your city. Pro Controller is also supported, and additional tutorials help guide your first play through. • Extensive local traffic simulation: Colossal Order’s extensive experience developing the Cities in Motion series is put to work in fully fleshed out, well-crafted transport systems. • Districts and Policies: Be more than just an administrator from city hall. Designating parts of your city as a district results in the application of policies which results in you rising to the status of Mayor for your own city. • After Dark: Focused on leisure and tourist specialization, this expansion’s central feature is to utilize the day and night cycle and alter the approach to managing a city. Will you construct a bustling city that lives and breathes at night, or succumb to the perils and misadventures of the dark hours? • Snowfall: The difficulty heats up when the city cools down, thanks to this expansion’s added challenges and assets, like snow maps, street cars and heating systems. There are in-game temperature readings, cosmetic weather enhancements, extra parks, and infrastructural demands to keep your citizens warm and safe from freezing conditions.